“El Rincon” is a City Style Maisonette on three floors situated in the heart of the charming old mining village of Langley Park, only a 7 minute drive from Durham City Center. 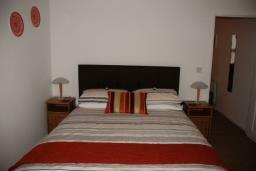 The property is furnished to a high standard to ensure a comfortable and memorable visit. Standard freesat channels are available for both TV and radio. The American style kitchen opens to the lounge via a breakfast bar. There is central heating in every room powered by a gas combi boiler which also supplies hot water to the kitchen and bath room..
“El Rincon” is in a quiet location at the very heart of the village. It enjoys its own private entrance or directly from the private garage. 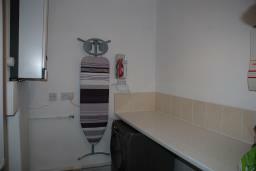 The garage should be requested after booking (at a charge of £10 per week).when available. 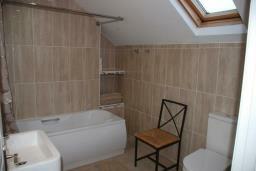 It is normally available but occasionally in use for other occupants. The garage has an electric remote controlled door. 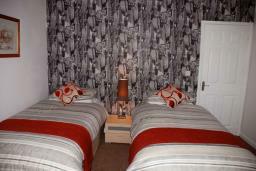 The property has two good size bedrooms, the master with King Size (Sealy) pocket sprung bed and the second is a twin. There are high quality blackout curtains to ensure an uninterrupted sleep. 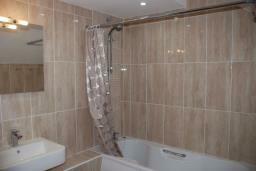 The fully tiled and modern bathroom is large with full size bath and shower over. 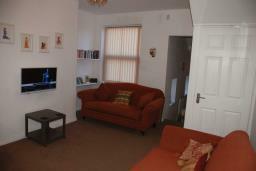 The ground floor comprises, entrance hall and well equipped utility room. There is a high quality "Hoover" washing machine, ironing board and steam iron as well as a large work top for your convenience. 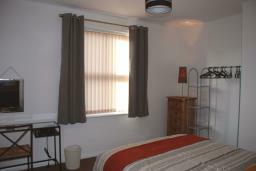 The apartment is very spacious and tastefully furnished, equipped to make your stay comfortable. You will want to come back again and again. Our property manager is close at hand should you need help or advice during your stay. There are various games in the lounge including chess, dominoes, jig saw, cards etc plusa good library of books. feel free to swap your own book for one from the book shelf. Restaurants - There is an excellent Indian restaurant with take out facility. A Chinese and Pizza take away - all will deliver to your door. Of course there are, as you would expect, some lovely North Country Pubs where you will be made very welcome by the village locals. The Langley Park Hotel (no bedrooms) is popular for lunch with local business people. 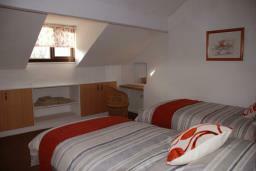 The New Board inn is ever popular for an evening meal with beautiful views over the valley. 'Number 4' is our cosy village cafe / tea shop. They produce homemade healthy options as well as a variety of freshly baked scones and pies, plus made to order sandwiches to eat in or take away. from the chicken with salad or stuffing fillings. 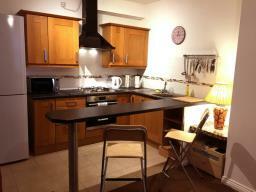 The neighbouring village of Lanchester also offers a variety of very pleasant restaurants. Golf- There are a number of local golf courses just minutes away that welcome visiting golfers. These include Durham City, Chester le Street and Cocken Lodge. There are more details in the visitors book at the apartment to help you on your way.